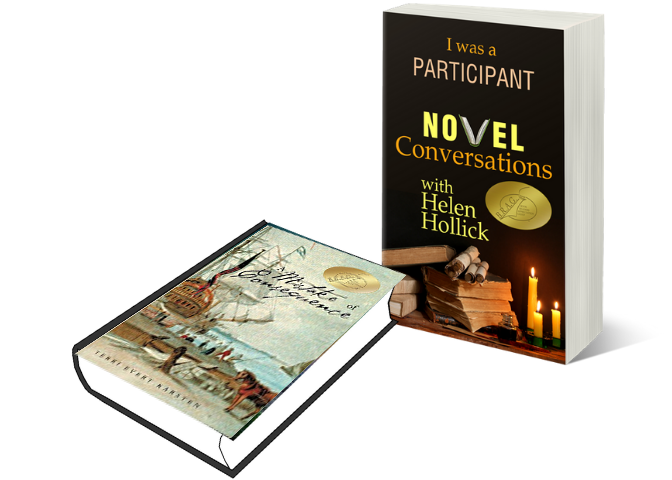 HELEN: Hello, I’m Helen the host of Novel Conversations, please do make yourself comfortable. Would you like a drink? Tea, coffee, wine – something stronger? You’ll find a box of chocolates and a bowl of fruit on the table next to you. Please do help yourself. I believe you are a character in Terri Karsten’s novel A Mistake of Consequence. Would you like to introduce yourself? Are you a lead character or a supporting role? CALLIE: I am so very pleased to meet you, Madam. ‘Tis a fine day, is it not? I must say I’ve not acquired a taste for that nasty brew, coffee, [shudders] but I could use a refreshing cup of tea, thank you. I’m Callie Beaton, a gentlewoman. Or at least I was when I was home. I’m not sure what you’d call me now. ‘Servant’ is unjust, and ‘fugitive’ is far too harsh. Perhaps just plain Callie Beaton will have to do. Until quite recently, I called Edinburgh home. Now … well suffice it to say I’m no longer in Scotland. In fact, I’ve told how that came to pass through my author’s book. And yes, I am indeed the lead character in my own story.